From a statistical standpoint, the greatest golfer of all-time is neither Tiger Woods or Jack Nicklaus. Statistically speaking, the greatest golfer of all-time is Walter Hagen. Check out the stats of Tiger Woods, Jack Nicklaus and Walter Hagen below and see if you agree that Walter Hagen is the greatest golfer of all-time. Most people use golf majors as the yardstick for determining who the greatest golfer of all-time is and even from that standpoint one can argue that Walter Hagen was better than Jack Nicklaus and Tiger Woods. Walter Hagen won 45 of the 191 PGA Tour events he played in his career. That works out to a win percentage of 23.6%. Really not much difference between Hagen and Tiger Woods and if Tiger can stay healthy and keep playing into his 50s there's little doubt his win percentage will keep dropping and will drop well below Walter Hagen's. This is a very fluid number since Tiger Woods is playing golf regularly again but as of today Tiger has won 79 PGA Tour events in 341 starts. That works out to a 23.2% winning percentage. Second best of all-time. Jack Nicklaus won 73 of the 595 PGA Tour events he played in. That is not the third best win percentage in history but is third best among the three players being compared here. Jack Nicklaus did play 126 events after 1986, the last season he won a tournament. But even taking those out his win percentage (15.6%) is still well below Tiger Woods and Walter Hagen. Walter Hagen won 11 golf majors out of 57 starts for a win percentage of 19.3%. That's the best golf major win percentage of all-time. Tiger Woods has won 14 golf majors out of 80 starts for a win percentage of 17.5%. That's not much behind Walter Hagen but Tiger is unlikely to be able to keep up that golf major win percentage as he ages. Jack Nicklaus won 18 golf majors out of 164 starts for a win percentage of 11%. Nicklaus played in a lot of golf majors when he was well past his prime but even if we knock off the 56 majors he played in after 1986 when he won his last major his win percentage of 16.67% is still below Tiger Woods and Walter Hagen. In Ryder Cup play, Walter Hagen had a record of 7-1-1 for a win percentage of 83.33%. Second best all-time for American players with at least nine matches played. Gardner Dickenson won 9 of 10 matches for the best win percentage all-time for at least 9 matches. Twelve American golfers went undefeated in Ryder Cup play but the most matches is six for an undefeated player by Jimmy Demaret. Ben Hogan went 3-0 lifetime. Jack Nicklaus record in Ryder Cup play is 17-8-3 for win percentage of 66%. That's behind golf legends like Sam Snead (81%) and Arnold Palmer (72%) but it's pretty good. Tiger Woods record in Ryder Cup Play is just 13-17-3 for a win percentage of 44%. Ryder Cup play is the Achilles heel for anybody who wants to argue that Tiger Woods is the greatest golfer of all-time. It's impossible to argue the all-time greatest player in golf is a player who has a well below 50% win percentage in Ryder Cup play. While Walter Hagen trails both Jack Nicklaus and Tiger Woods here he does have the third most golf major wins in history. And he had far fewer opportunities to win golf majors. While Tiger Woods and Jack Nicklaus always had four majors to play in each year the same was not true for Walter Hagen. The PGA Championship was not started until 1916, three years into his career, and the Masters was not started until 1934 when Hagen was already in his 40s. 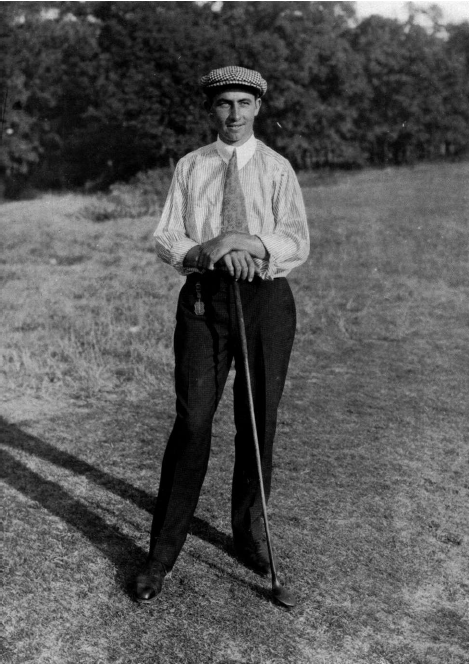 Also, due to World War I, nine golf majors were canceled during the prime years of Walter Hagen's golfing career. Hagen did win the Western Open five times and many golf historians consider that event to have been a golf major equivalent today. In any case, based upon his win percentage, had Walter Hagen played in 80 golf majors like Tiger Woods he would have 15 plus wins and if he played in 164 like Jack Nicklaus he would have 31 golf major wins. From a pure statistical standpoint, it's pretty clear that Walter Hagen is the greatest golfer of all-time. While Tiger Woods stats are close to Walter Hagen, as Tiger ages and keeps playing his stats are sure to drop. And Tiger Woods Ryder Cup stats are so bad it's impossible to argue he's the greatest golfer of all-time.